Deepak N Parchwani, Amit A Upadhyah. Diabetic nephropathy is the leading cause of kidney disease in patients starting renal replacement therapy and affects ~30% of type 1 and type 2 diabetic patients. This review focuses on the progression and pathophysiological aspects of the condition. The natural history of diabetic nephropathy is characterized by specific renal morphological and functional alterations. Features of early diabetic renal changes are microalbuminuria (30-300mg/day), glomerular hyperfiltration, glomerular and renal hypertrophy, increased basement membrane thickness, and mesangial expansion with the accumulation of extracellular matrix proteins such as collagen, fibronectin, and laminin. Advanced diabetic nephropathy is characterized by macroalbuminuria ( >300mg/day), a progressive decline in glomerular filtration rate, decreasing creatinine clearance, glomerulosclerosis, and interstitial fibrosis. Although poor glycemic control is an important risk factor, glycemia does not fully explain why only a subset of diabetic patients progress to end stage renal disease. Several decades of extensive research has elucidated various pathways to be implicated in the development of diabetic kidney disease such as systemic and glomerular hypertension, advanced glycation endproducts and the aldose reductase system. Furthermore, hemodynamic factors, the reninangiotensin system, the endothelin system, the intracellular signaling molecule protein kinase C, transforming growth factor-ß, growth hormone, insulin like growth factors, vascular endothelial growth factor, and platelet-derived growth factor are believed to be involved in the pathogenesis. Thus, there are clearly many points at which therapeutic approaches could be tried to provide renoprotection in diabetes. It is likely that due to its complexity, targeting multiple points in altered metabolism in the diabetic kidney will be more successful in attenuating the development of diabetic nephropathy, rather than a single approach. 1. Wild S, Roglic G, Green A, Sicree R, King H. Global prevalence of diabetes: estimates for the year 2000 and projections for 2030. Diabetes Care 2004;27:1047–1053. 2. Gariani K, de Seigneux S, Pechère-Bertschi A, Philippe J, Martin PY. Diabetic nephropathy: an update. Rev Med Suisse 2012;8(330):473-479. 3. Bright R. Cases and observations illustrative of renal function accompanied with the secretion of albuminous urine. Guy’s Hospital Report 1836;1:338-400. 4. Viberti G, Keen H. The patterns of proteinuria in diabetes mellitus Diabetes1984;33:686-692. 5. Rayer P. Proteinuria and diabetes mellitus. Ballien Public. Paris.1840;33-69. Quoted from Viberti G, Keen H. The patterns of proteinuria in diabetes mellitus. Diabetes 1984;33:686-692. 6. Giorgino F, Laviola L, Solnica B, Fuller J. Factors associated with progression to macroalbuminuria in microalbuminuria type 1 diabetic patients. The EURODIAB Prospective Complications Study. Diabetologia 2004;47:1020-1028. 7. Hovind P, Tarnow L, Rossing P, Jensen BR, Torp I, Parving H. Predictors for the development of microalbuminuria and macroalbuminuria in patients with type 1 diabetes : Inception Cohort Study. Br Med J 2004;328:1105-1159. 8. Jones C, Krowlewski A, Rogus J, Xue J, Collins A. Epidemic of end-stage renal disease in people with diabetes in the United States population. Kidney Int 2005;67:1684-1691. 9. Collins AJ, Foley RN, Chavers B, Gilbertson D, Herzog C, Johansen K et al. United States Renal Data System 2011 Annual Data Report: Atlas of chronic kidney disease & end-stage renal disease in the United States. National Institute of Health, National Institute of Diabetes and Digestive and Kidney Disease. 10. Wang J, Sarah X. Salutary effect of pigment epithelium derived factor in diabetic nephropathy. Diabetes 2006;55:1678-1685. 11. Marshall R. Recent advances in diabetic nephropathy. Post grad Med J 2004;80:624-633. 12. Caramori M, Fioretto P, Mauer M. Enhancing the predictive value of urinary albumin for diabetic nephropathy. J Am Soc Nephrol 2006;17:339-352. 13. Mogensen CE. Microalbuminuria as a predictor of clinical diabetic nephropathy. Kidney Int 1984;31:673-676. 14. Mogensen C, Christensen C. Predicting diabetic nephropathy in insulin dependent diabetics. N Eng J Med 1984;311:89-93. 15. Viberti G, Harris M, Chowers S. Increased urinary albumin excretion in diabetic state. Am J Med 1982;3:37-40. 16. Mogensen C, Chachati A, Christensen C, Close C, Deckert T, Hommel E, Kastrup J, Lefebure P, Mathiesen E. Microalbuminuria : an early marker of renal involvement in diabetes. Uremia Invest 1985;9:85-95. 17. DCCT (Diabetes Control and Complications Trial) Research Group. The effect of intensive treatment of diabetes on the development and progression of long-term complications in insulin-dependent diabetes mellitus. N Eng J Med 1993;329:977-989. 18. Galler A, Haberland H, Näke A, Hofer S, Holder M, Raile K, Holl RW. Natural course of untreated microalbuminuria in children and adolescents with type 1 diabetes and the importance of diabetes duration and immigrant status: longitudinal analysis from the prospective nationwide German and Austrian diabetes survey DPV. Eur J Endocrinol 2012;166(3):493-501. 19. Alzaid AA. Microalbuminuria in patients with NIDDM: An overview. Diabetes Care 1996;19:79-83. 20. 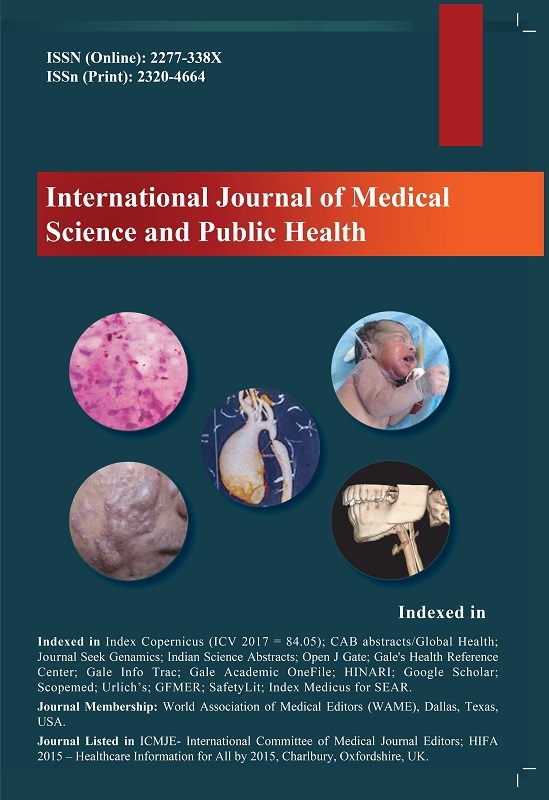 Ranjit UI, Mohan R, Rajendra P, Mohan D, Coimbatore SS, Raj D, Viswanathan M. Prevalence and Risk Factors of Diabetic Nephropathy in an Urban South Indian Population. Diabetes Care 2007;30:2019–2024. 21. Gotzsche O, Gundersen H, Osterby R. Irreversibility of glomerular basement membrane accumulation despite reversibility of renal hypertrophy with islet transplantation in early experimental diabetes. Diabetes 2003;30:481-485. 22. Jones C, Krowlewski A, Rogus J, Xue J, Collins A. Epidemic of end-stage renal disease in people with diabetes in the United States population. Kidney Int 2005;67:1684-1691. 23. Wu VY, Wilson B. Cohen MP. Disturbances in glomerular basement membrane glycosamionglycans in experimental diabetes. Diabetes 1987;36:679-683. 24. Groggel G, Stevenson J, Hovingh P, Linker A, Border W. Changes in heparan sulfate correlate with increased glomerular permeability. Kidney Int 1988;33:517-523. 25. Lewis EJ, Xu X. Abnormal glomerular permeability characteristics in diabetic nephropathy: implications for the therapeutic use of low-molecular weight heparin. Diabetes Care 2008;31(Suppl) 2:S202-207. 26. Li J, Wu HM, Zhang L, Zhu B, Dong BR. Heparin and related substances for preventing diabetic kidney disease. Cochrane Database Syst Rev. 2010;9:5631-5634. 27. Castellot JJ, Hoover RL, Harper PA, Karnovsky MJ. Heparin and glomerular epithelial cell-secreted heparin like species inhibit mesangial-cell proliferation. Am J Pathol 1985;120:427-435. 28. Kjellen L, Bielefeld D, Hook M. Reduced sulfation of liver heparan sulfate in experimentally diabetic rats. Diabetes 1983;32:337-342. 29. Dybdhahl H, Ledet T, Loren F. Diabetic microangiopathy. Diabetologia 2005;30:882-886. 30. Moriya T, Tanaka K, Hosaka T, Hirasawa T, Fujita Y. Renal structure as an indicator for development of albuminuria in normo- and microalbuminuric type 2 diabetic patients. Diabetes Res Clin Pract 2008;82(3):298-304. 31. Gilbert RE, Cooper ME. The tubulo-interstitium in progressive diabetic kidney disease: more than an aftermath of glomerular injury. Kidney Int 1999;56:1627–37. 32. Greka A, Mundel P. Cell biology and pathology of podocytes. Annu Rev Physiol 2012;74:299-323. 33. Su J, Li SJ, Chen ZH, Zeng CH, Zhou H, Li LS, Liu ZH. Evaluation of podocyte lesion in patients with diabetic nephropathy: Wilms' tumor-1 protein used as a podocyte marker. Diabetes Res Clin Pract 2010;87(2):167-75. 34. Langham RG, Kelly DJ, Cox AJ. Proteinuria and the expression of the podocyte slit diaphragm protein nephrin in diabetic nephropathy: effects of angiotensin converting enzyme inhibitors. Diabetologia 2002;45:1572–1576. 35. Heilig C, Liu Y, England R, Gilbert J, Zhu M. D-glucose stimulates mesangial cell GLUT-1 expression and basal and IGF-1 sensitive glucose uptake in rat mesangial cells: Implications for diabetic nephropathy. Diabetes 1997;46:1030-1039. 36. Inoki K, Haneda M, Maeda S, Koya D, Kikkawa R. TGF- β1 stimulates glucose uptake by enhancing GLUT-1 expression in mesangial cells. Kidney Int 1999;55:1704-1712. 37. Dipaolo S, Ranieri E, Schena F. High glucose concentration induces the overexpression of TGF-β through the activation of a platelet derived growth factor loop in human mesangial cells. Am J Pathol 1996;149: 2095-2106. 38. Connolly S, Sadlier D, Kieran N, Doran P, Brady H. Transcriptome profiling and the pathogenesis of diabetic complications. J Am Soc Nephrol.2003;14(Suppl):S279-S283. 39. Wolf G, Ziyadeh FN. The role of angiotensin II in diabetic nephropathy:Emphasis on nonhemodynamic mechanisms. Am J Kidney Dis 2006;29:153-163. 40. Han KH, Kang CW, Park SH. Tissue-specific regulation of insulin-like growth factors and insulin-like growth factor binding proteins in male diabetic rats in vivo and in vitro. Clin Exp Pharmacol Physiol 2006;33(12):1172-9. 41. Chen N, Chen W, Bellush L, Yang C, Striker G. Effects of streptozotocin treatment in growth hormone and growth hormone antagonist transgenic mice. Endocrinology 1995;136:660-667. 42. Doi T, Striker L, Conti F, Palmiter R, Striker G. Progressive glomerulosclerosis develops in transgenic mice chronically expressing growth hormone and growth hormone releasing factor but not in those expressing insulin like growth factor-1. Am J Pathol 2000;131:398-403. 43. Vasylyeva TL, Ferry RJ. Novel roles of the IGF-IGFBP axis in etiopathophysiology of diabetic nephropathy. Diabetes Res Clin Pract. 2007;76(2):177-86. 44. Moran A, Brown D, Kim Y, Klein D. Effects of 1GF-1 and glucose on protein proteoglycan synthesis by human fetal mesangial cells in culture. Diabetes 2001;40:1346-1354. 45. Lupia E, Elliot S, Lenzo, Zheng F, Striker G, Striker L. IGF-1 decreases collagen degradation in diabetic NOD mesangial cells. Implications for diabetic nephropathy. Diabetes 1999;48(8):1638-44. 46. Koya D, Jirousek MR, Lin Y-W, Ishii H, Kuboki K, King GL. The role of protein kinase C activation and the vascular complications of diabetes. Pharmacol Res 2007;55(6):498-510. 47. Tuttle KR, Anderson PW. A novel potential therapy for diabetic nephropathy and vascular complications: protein kinase C beta inhibition. Am J Kidney Dis 2003;42(3):456-65. 48. Ways DK, Sheetz MJ. The role of protein kinase C in the development of the complications of diabetes. Vitam Horm 2000;60:149-193. 49. Forbes JM, Thallas V, Thomas MC, Founds HW, Burns WC, Jerums G, Cooper ME. The breakdown of preexisting advanced glycation end products is associated with reduced renal fibrosis in experimental diabetes. FASEB J 2003;17:1762-1764. 50. Moczulski D, Scott L, Antonellis A, Rogus J, Rich S, Krowlewski A. Aldose reductase gene polymorphism and susceptibility to diabetic nephropathy in type 1 diabetes mellitus. Diabet Med 2000;17:111-118. 51. Strippoli GF, Di Paolo S, Cincione R, Di Palma AM, Teutonico A, Grandaliano G, Schena FP, Gesualdo L. Clinical and therapeutic aspects of diabetic nephropathy. J Nephrol 2003; 16:487-499. 52. Gnudi L, Viberti G, Raij L, Rodriguez V, Burt D, Cortes P, Hartley B, Thomas S, Maestrini S, Gruden G. GLUT-1 over expression: Link between hemodynamic and metabolic factors in glomerular injury? Hypertension 2003; 42:19-24. 53. Gruden G, Thomas S, Burt D, Lane S, Chusney G, Sacks S, Vibert GC. Mechanical stretch induces vascular permeability factor in human mesangial cells: Mechanisms of signal transduction. Proc Natl Acad Sci U S A 1997;94(22):12112-12116. 54. Parchwani DN, Dhanani JV, Upadhyah AA, Sharma MH, Shah AM, Maheria PB, et al. Relationship between cardiovascular autonomic (dys)function and microalbuminuria in type 2 diabetes mellitus. Natl J Physiol Pharm Pharmacol 2012; 2:84-92. 55. Bleyer AJ, Sedor JR, Freedman BI, O'Brien A, Russell GB, Graley J, Schelling JR. Risk factors for development and progression of diabetic kidney disease and treatment patterns among diabetic siblings of patients with diabetic kidney disease. Am J Kidney Dis 2008;51(1):29-37. 56. Ntemka A, Iliadis F, Papanikolaou N, Grekas D. Network-centric Analysis of Genetic Predisposition in Diabetic Nephropathy. Hippokratia 2011;15(3):232-237. 57. Klein R, Klein B, Moss S, Davis M, DeMets L. The Wisconsin Epidemiologic Study of Diabetic Retinopathy : Diabetic macular oedema. Ophthalmology 1984;91:1464-1474. 58. Friedman B, Spray B, Tuttle A, Buckalew V. The familial risk of end-stage renal disease in African – Americans. Am J Kidney Dis 1993;21:387-393. 59. Xu M, Chen X, Yan L, Cheng H, Chen W. Association between (AC)n dinucleotide repeat polymorphism at the 5'-end of the aldose reductase gene and diabetic nephropathy: a meta-analysis. J Mol Endocrinol 2008;40(5):243-251. Ren Fail 2015; (): 1. Asian Pacific Journal of Tropical Disease 2014; 4(5): 337.